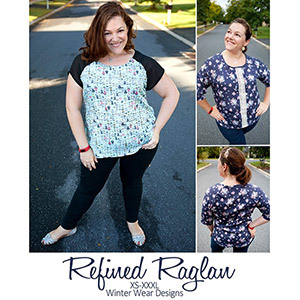 The Refined Raglan is a relaxed fit raglan shirt designed for woven fabric. That's right, break out the champagne glasses and put on your happy music, cause you are in need of at least a dozen of these. 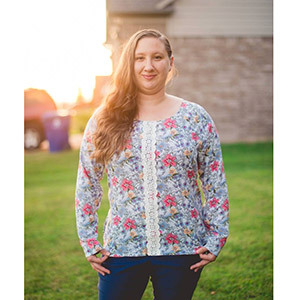 This pattern has a large scoop neckline with an optional open front. The open front has 2 length options so that it can be worn layered or by itself. There is also a pintuck option which allows for some sweet detailing at the front. There are 3 sleeve lengths included. A short sleeve, 3/4 length sleeve and a long sleeve. The 3/4 length is a sporty length hitting just past the elbow, and the long sleeve is designed to hit at the wrist. There is a lengthen line for the long sleeve. This top hits at mid to low hip for a woman 5'4-5'6 and can be paired with jeans, skinnies, leggings or pencil skirts for a variety of looks. The hem is curved and has the option of a vented hem at the side seams for more ease around the hips, or a closed hem. 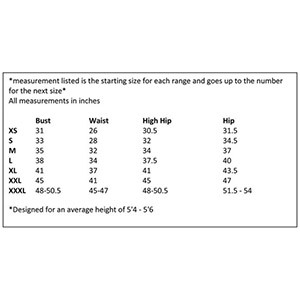 Suggested fabrics are cotton jersey, cotton lycrar, cotton ribbed, flannel, voile, eyelet, or soft cotton.